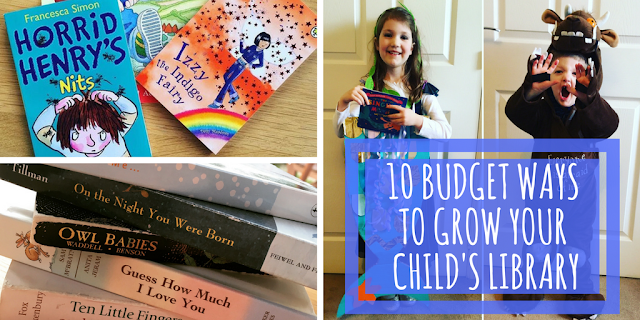 A little while ago Mini Reviewer, Izzie (5), won a book token at school and so off we went to our local bookshop where she picked out a new book all by herself. 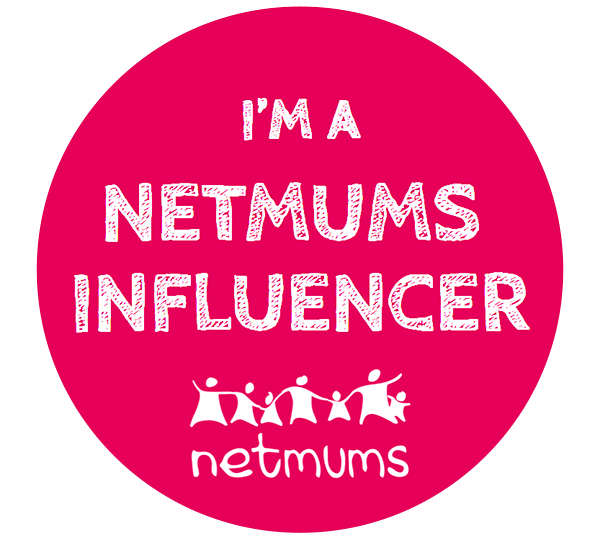 It was Isadora Moon Gets in Trouble by Harriet Muncaster. We read it together and that was it, she was hooked and wanted to read the whole collection. This is book about Isadora Moon. She is a bit of vampire and a bit of fairy. In this story she gets into a lot of trouble with her cousin. They make themselves small with a potion and her best friend, Pink Rabbit, is made really small because he jumped into the potion. They also make a dragon and it goes to school with Isadora. She gets in lots of trouble at school and is sent home. My favourite part in this book is the dragon because he breathes out stars and glitter, not fire! I am now going to read all the Isadora Moon books! Isadora Moon goes on a school trip to a castle. The teacher didn't think it was haunted but it was. 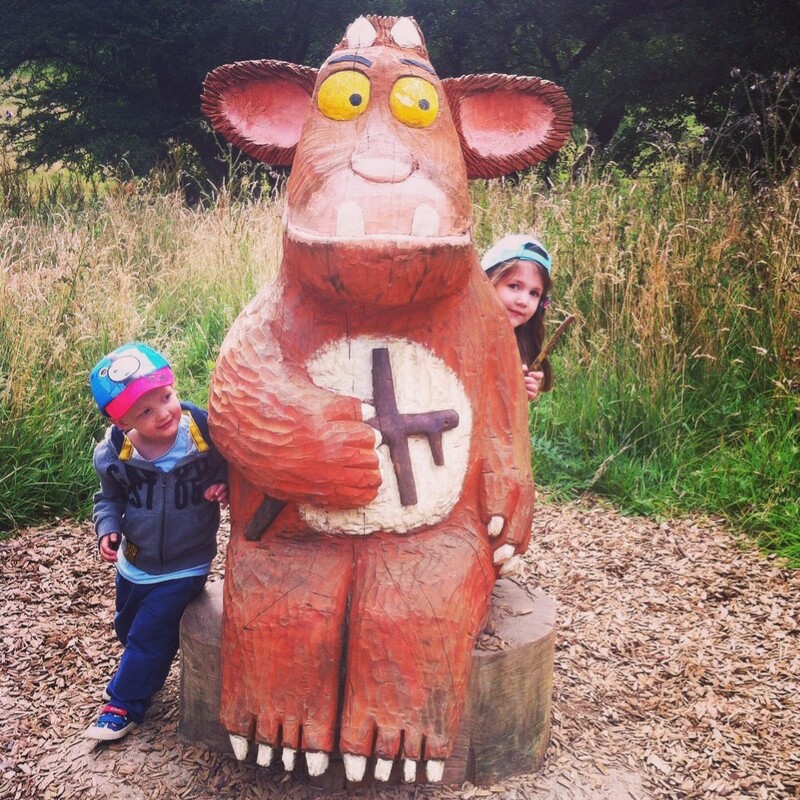 Isadora found a ghost called Oscar and when she showed the ghost to her friends they all screamed and ran away. Oscar was a friendly ghost and so he was sad. Then they found a suit of shining armour and put Oscar in it. Isadora took him back to her friends and they all made friends with Oscar. Then Isadora Moon took Oscar's helmet off and they didn't scream. Oscar was happy. I like the front cover of this book because it's all sparkly and I like the pictures because they are all pink and black and white. My favourite character in this story is Oscar because he is friendly. 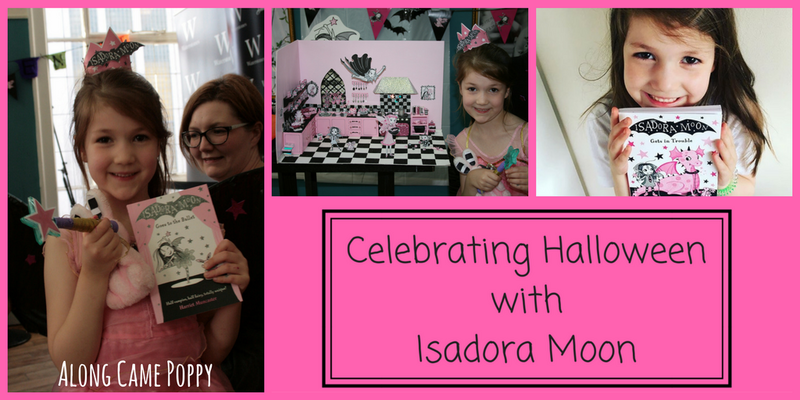 I think it is clear that Izzie is an Isadora fan, so when we discovered there was going to be an Isadora Moon Halloween Party at Waterstones with Harriet Muncaster, the creator of the series, we couldn't resist popping to Manchester to see what it was all about. We are so glad that we did as it was a fantastic afternoon of activities and games. Our favourite part was meeting Harriet and learning to draw some of the Isadora Moon characters including a bat, Pink Rabbit and even Isadora herself! Izzie loved the opportunity to meet Harriet and get all her books signed. She even won a prize in the fancy dress competition together with Poppy who was an uncooperative, but very cute Pink Rabbit! Their prize was a new Isadora book of course and so we are now currently half way through Isadora Moon goes to the Ballet and I am sure Izzie will be ready to share her thoughts very soon. 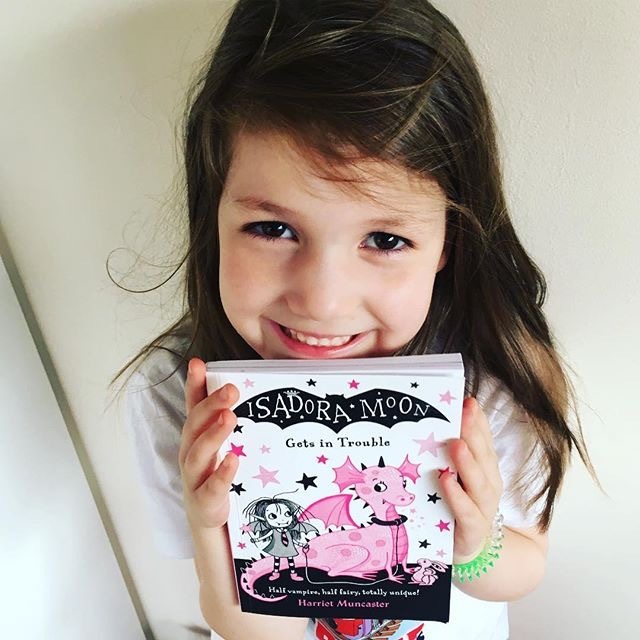 From a parent's perspective, I think the Isadora Moon series make perfect first chapter books for children of around age 5 and up. 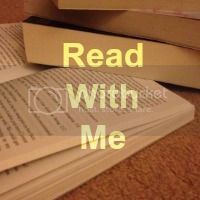 As Izzie is not quite reading independently, she reads a bit (with help when needed) and then I read to the end of the chapter. Reading together like this is really building her confidence and she is delighted to be reading "big" books! The stories themselves are fun and full of magic but also with an important underlying message, it's ok to be a bit different, after all Isadora is half fairy, half vampire, totally unique! 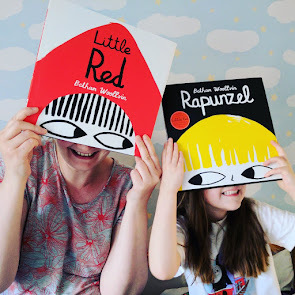 Harriet's eye-catching pink and black illustrations throughout the books make them very special indeed and I think it was the sparkly cover that initially made Izzie pick up the first book in the bookshop. I also want to mention that Mini Reviewer, Theo, sometimes enjoys listening to these stories too so they aren't just books for girls! He also enjoyed the Halloween event and was very taken with the miniature Isadora scene Harriet had created and he could name all the characters, which I thought was pretty good going considering he is still only three! Thank to you to Harriet and also to Waterstones for hosting such a great Halloween party. Harriet is appearing at a few more events in November 2017, you can find out more about the events and all about Harriet on her website or take a peek at this fabulous interview with her over at With Love For Books. There are currently six books in the Isadora Moon series and the seventh book Isadora Moon Goes to the Fair will be released in March 2018. So we have a little time to read the others before then and I'm sure we will! Thank you, her wings were not the best but it's amazing what you can do with a bin bag!! 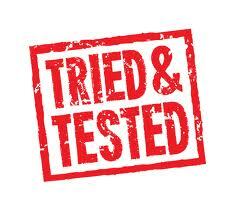 Thank you Kate and thank you for hosting #TriedTested - off to do my commenting now! Glad you all had a lovely time.